2013 - MonarchCare - Crowned Queen of Connectors - Bonnie Mackey! January 26, 2012 - MonarchCare - Transforming Lives Honoree - Bonnie Mackey! 2011 - Bonnie was a nominee for the ICON award of the Florida Assisted Living Coalition. Fall 2006 - Bonnie received the 2006 Public Service Award from the National Organization of the AWSCPAs, was a finalist for the 2006 Key Partners Award in the Accounting/Tax category, and the ABWA’s 2006 Spirit of Excellence Small Business Leader of the Year. August 2006 - Robert Zelko installed as President of the Florida Kiwanis Foundation. In addition to being a 2003 QuickBooks ProAdvisor, Bonnie became Certified as a 2006 QuickBooks ProAdvisor in May 2006 and QuickBooks Online Certified in 2014 and 2016. 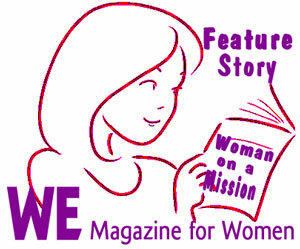 Bonnie was also chosen as a Member of the Month by wecai.org. You may also visit http://www.wecai.org/newsite/get_more_business.asp to download your own copy of the eBook - "GET MORE BUSINESS - The Women's eMarketing Guide to Promote Your Products and Services on the Internet." © 2019 Levin, Silvey, Zelko & Mackey, P.A. All Rights Reserved.